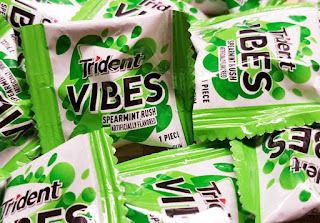 The Target Saver: Trident Vibes Gum Sample Pack Free Sample! Trident Vibes Gum Sample Pack Free Sample! Hurry and grab a FREE Trident Vibes Gum Sample Pack! Simply create or log into your Sampler account, answer a few questions, and enter your mobile number to receive a verification code via text that you can then enter on the next screen. Please allow this to arrive in your mailbox within 3 weeks. Get yours here!